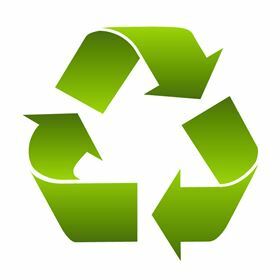 The company plans to recycle greater quantities of secondary materials in the current fiscal year. H.C. Starck, a manufacturer of powders and components, said that it performed well in 2015 ‘despite a difficult market environment’. The company increased its revenues from the previous year to €815.2 million from a 2014 figure of €785.9 million). By 31 December 2015, the company employed a total of 2,679 employees worldwide (2014: 2,678). ‘Last year was, once again, due to the situation on the raw material markets, highly challenging for H.C. Starck.’ said Dr Engelbert Heimes, CEO of the management at H.C. Starck. ‘Currently, there is an imbalance between supply and demand for some of our most important raw materials, which has led to a significant drop in prices. However, this unusual market situation will not be permanent. It is only a question of time before the market achieves a new balance and the price level can increase significantly once again. The company’s tungsten powders division recorded a significant reduction in revenues in 2015 due to the difficult market situation. ‘The demand from the oil and gas industry, in particular, which is another important consumer of our products in addition to the mining industry, is declining due to dropping oil prices,’ explained Dr Heimes. Yhe significantly weaker growth of industrial products in China and in numerous developing countries affected the revenues of the tungsten powders division in 2015, the company said. However, in contrast, 2015 recorded a mpre successful business trend for the division of tantalum/niobium powders. After implementing a series of measures, H.C. Starck says that it has succeeded in increasing the profitability of the division significantly. The company purchases a majority of its primary raw materials from long-term and sustainable conflict-free sources in Africa and in H.C. Starck Smelting, slags containing tantalum and other recyclable materials are processed inexpensively. ‘Thereby the price performance ratio for high-capacity tantalum powder was adjusted in order to make it even more attractive to the tantalum capacitor market,’ the company noted. The niobium business revenue at H.C. Starck alone doubled in 2015. Despite the current oil and gas market situation, H.C. Starck’s surface technology & ceramic powders division was able to record positive development in 2015 in comparison to 2014, with regard to both revenues and profitability, due partially to the fact that the division serves a wide spectrum of customers and is therefore not solely dependent on the developments of a single market share. The fabricated products division also increased order volume for the aerospace and defense industries, due to the stable economic situation in North America.